The last few weeks leading up to Christmas break are always the hardest around here. It’s like the magic of the season has completely erased anything else from my kids’ minds, and they can’t focus on anything for more than a minute (and that’s if I’m lucky). I’m pulling my hair out, especially at homework or reading time. I KNOW their teachers have gotta be pulling their hair out, and are probably at their wits end. Luckily, we’ve got an extra special treat for them to take home and enjoy over this year’s Winter Break. 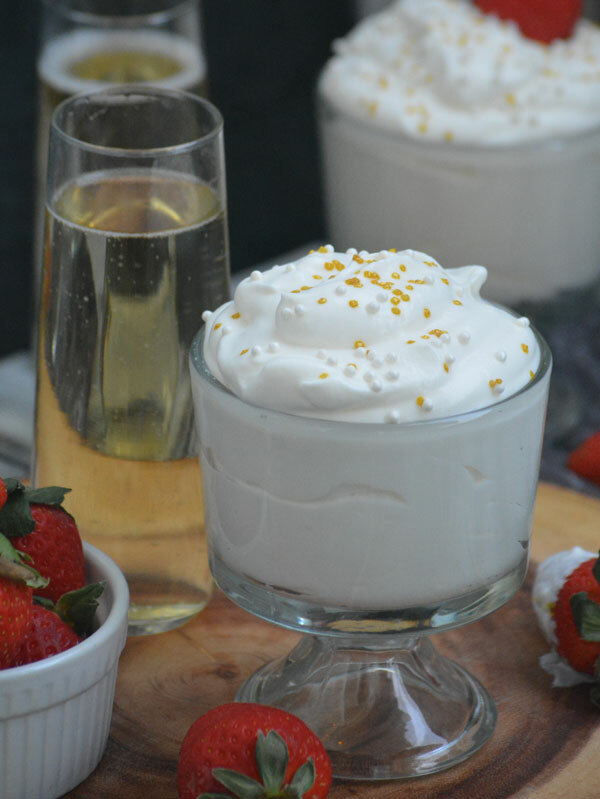 Champagne Cheesecake Fruit Dip to be specific! It’s the perfect thing to pamper yourself with. Seriously, it’s quick & easy (you only need 4, yes that’s right, 4 ingredients) and it’s a fun, boozy dip to give you a whole new reason to enjoy some extra fruit. Kick the New Year off right, starting with the main event. 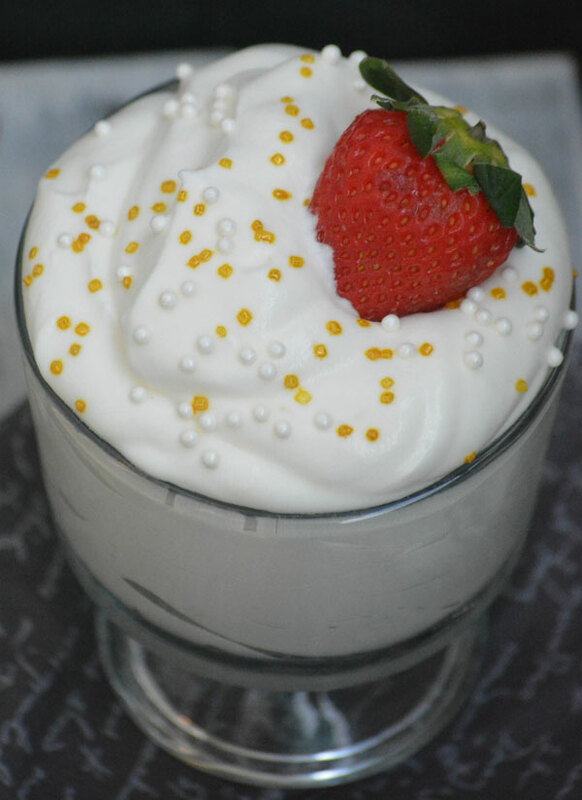 Skip the chips and opt for a sweet fruit dip instead. 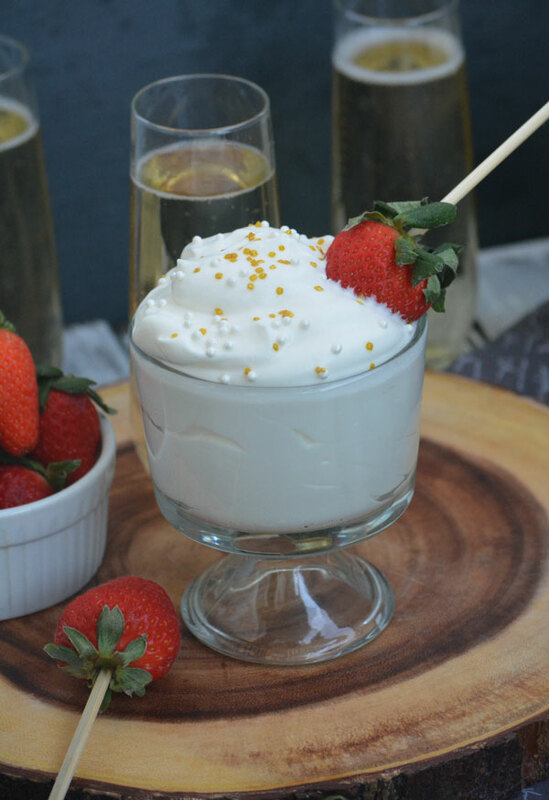 This Champagne Cheesecake Fruit Dip is the stuff of legends, or more specifically- the most requested recipe at events everrrrrrrr. Get in on the action now. 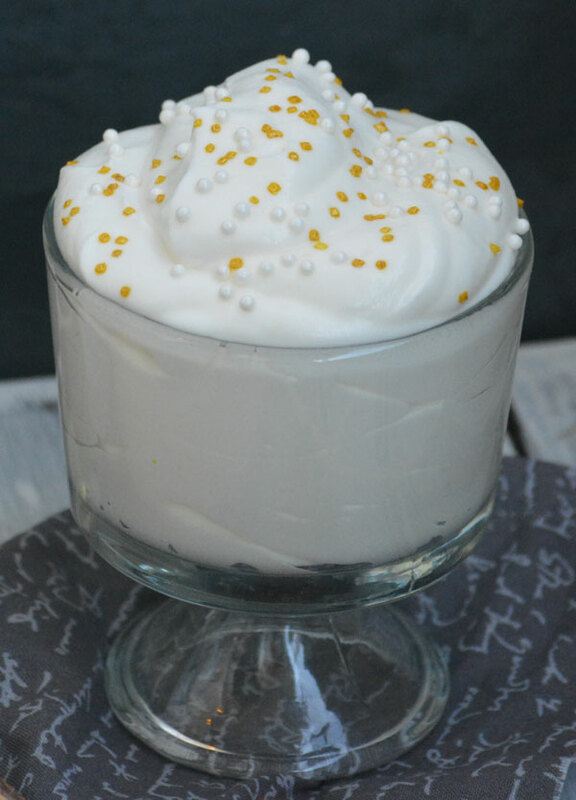 Or you can always save it for later, because it’s also perfect for brunches, bridal showers/parties, Valentine’s Day, date night- you get the idea. 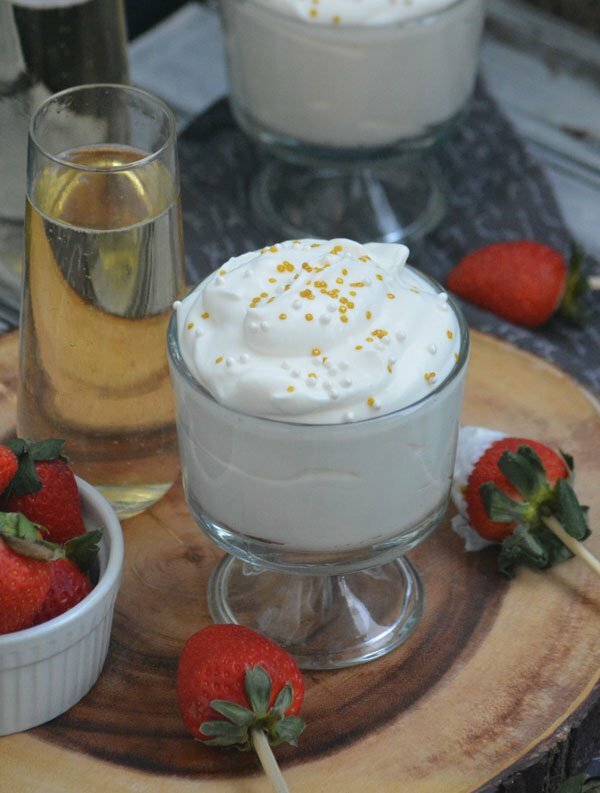 I like fruit dips and champagne – why not! It’s the holidays… Thanks for sharing with Fiesta Friday. Same here, and putting them together was a stroke of sheer genius!